Buying and Selling Fishing Gear and whatever else one may want to sell or get there hands on. Sellers must have at least 50 posts before you can sell anything here in this area, unless you contact forum admin and explain circumstances. 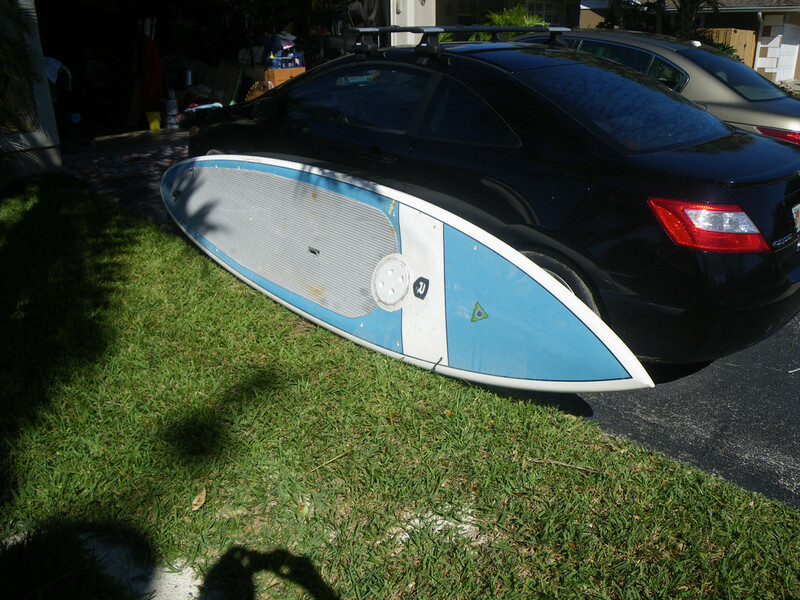 Riviera Voyager , board is 12'6" x 32' x 5.5' weighs 34#, EPS Foam/Epoxy build, with eva-foam deck padding, recreational touring style paddleboard. 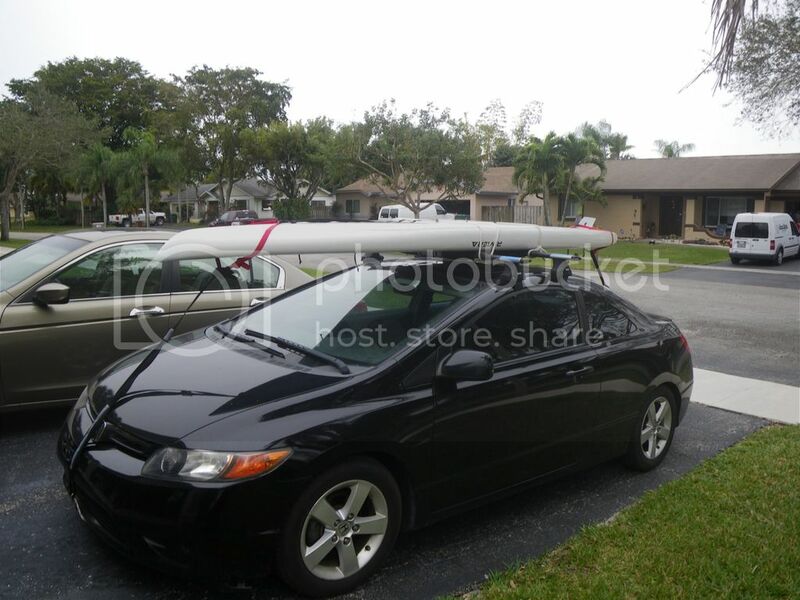 (see pix) I use the SUP for fishing the flats, canals, and local lakes. I added 2 tie-down points to secure a cooler/drybox (not included) that also doubles as a seat and/or standing platform, and 2 center carry/lift handles that make it easier to lift, carry, and/or load. Its a well used with some ding repairs, normal expected minor scrapes,scratches and stains, but solid with no leaks or ever had one and in great usable shape as is. 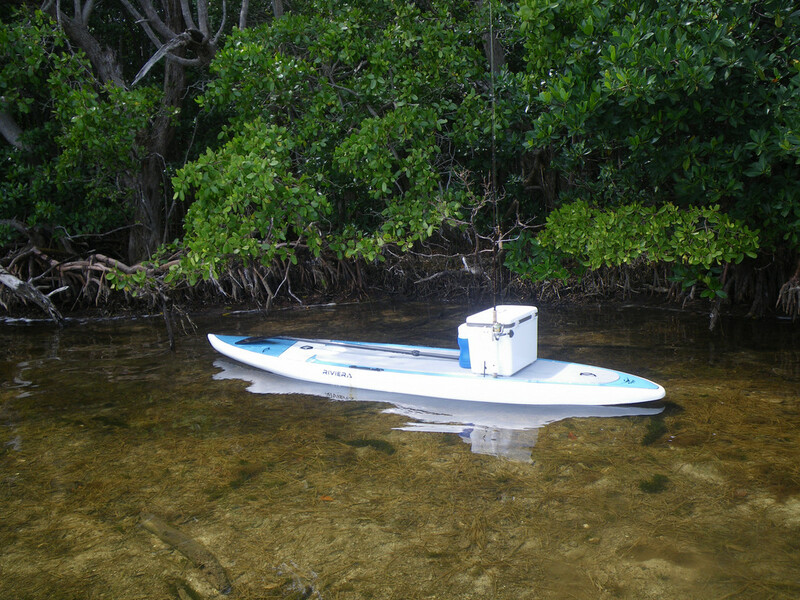 This model SUP/Paddleboard is a great sight fishing machine on the flats, comes with lots of mojo and fish slimed magic and also is a good recreational paddleboard. It can be paddled or pole'd. 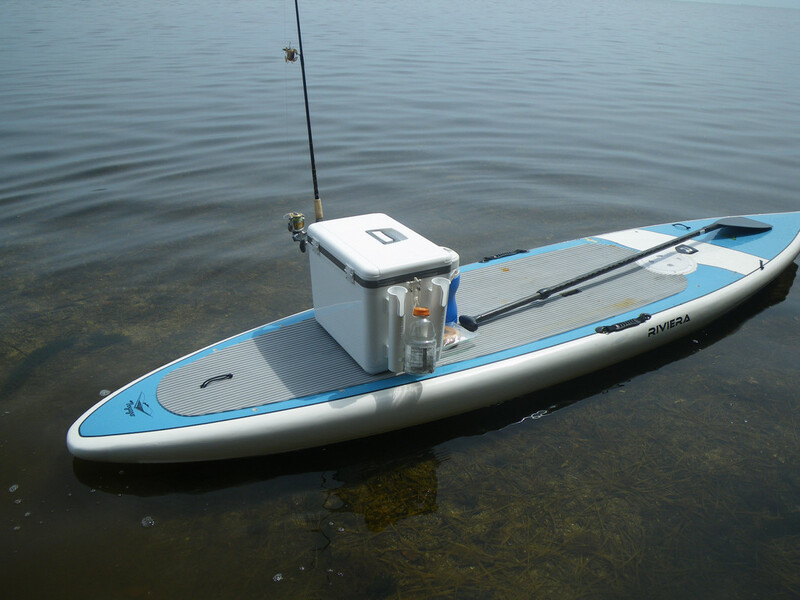 (The cooler/drybox is not included I also use it on my canoe and kayak, but could be for a fee). 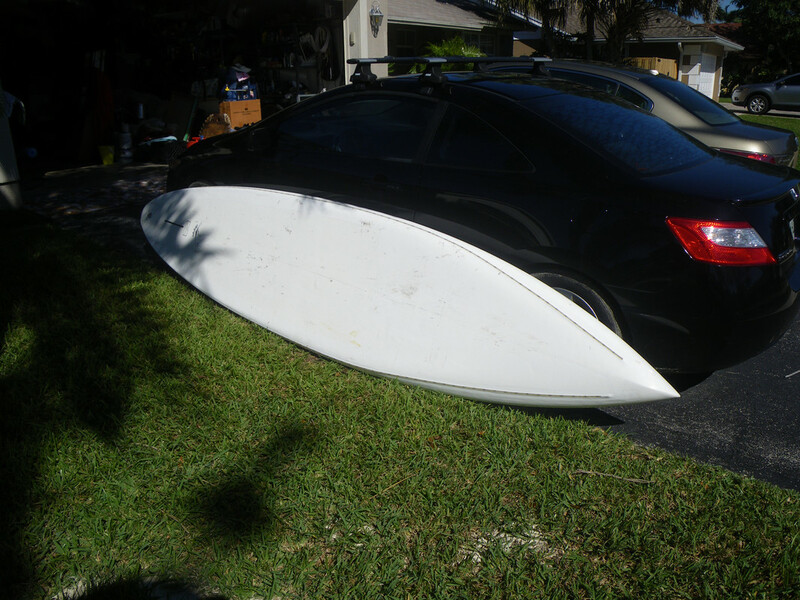 The guy I purchased it from used it for night-sup paddling and had led strip lights installed the bottom side of the hull with a hatch for a battery. The people did a really nice job of imbedding flush and glassing the led's into hull below the water level so no glare and it lights up the water for several feet below and around the board. As she floats in skinny gin clear water rigged and ready to fish. After further thought, have decided to include the Cooler/Drybox in the price. As a fishing machine the Cooler/Drybox makes the package complete. Engle 30qt. Cooler, used as a drybox, with 2 Scotty adjustable Rod Holders on the back side. 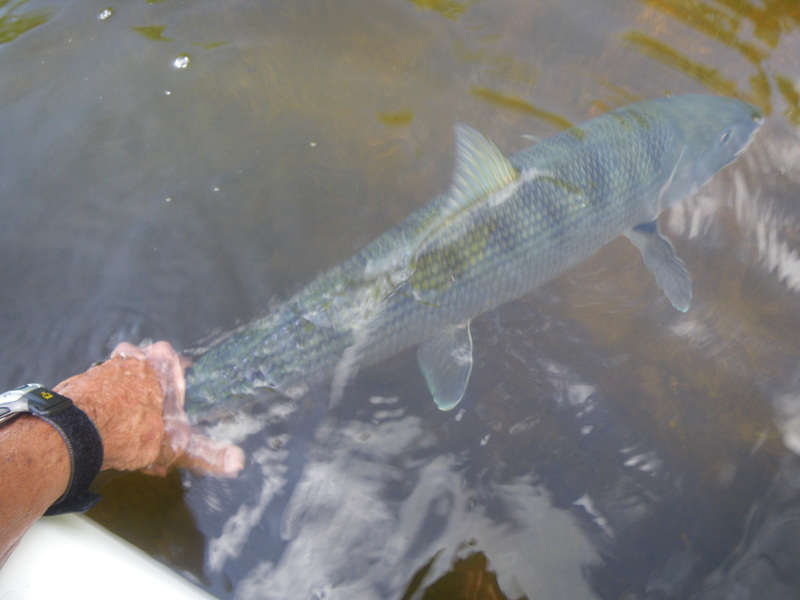 If you are itching to get off the banks and reach area's you just can;t cast to and enhance your fishing experiences, this is a good way to do that. Summer is coming, Memorial Day is right round the corner... this would make a really great water toy for you, your better half or kids at the lake house or beach, when you are not fishing of course.... anyone on a canal or lake needs one . Still avalible ? Have a friend untreated send me your number if it is. But I'm getting attached to her again the longer it hangs around.